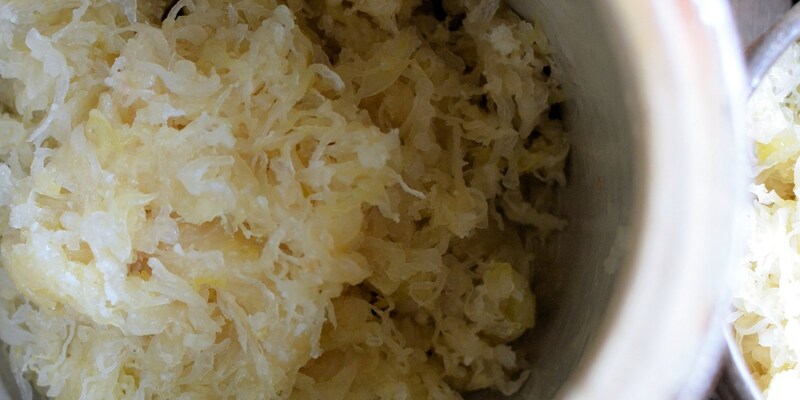 Sauerkraut – literally ‘sour cabbage’ – is a fermented white cabbage dish which is typically enjoyed when cabbage is out of season, as it can be made and stored for a couple of months. It is traditionally eaten across Germany and north-eastern France with pork, bratwurst or as part of a charcuterie platter. Try adding different spices to the fermentation such as juniper berries and caraway seeds.